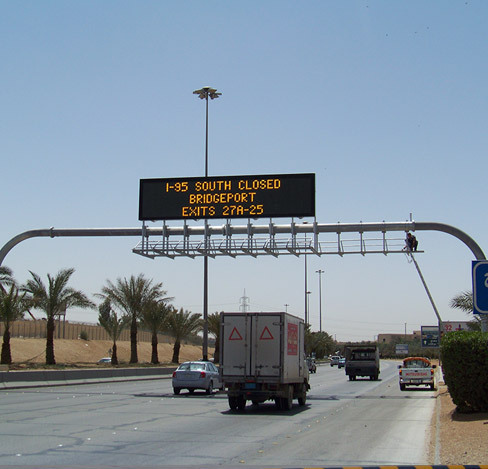 VMS (Variable Message Signs), is also known as DMS (Dynamic Message Signs) or CMS (Changeable Message Signs). 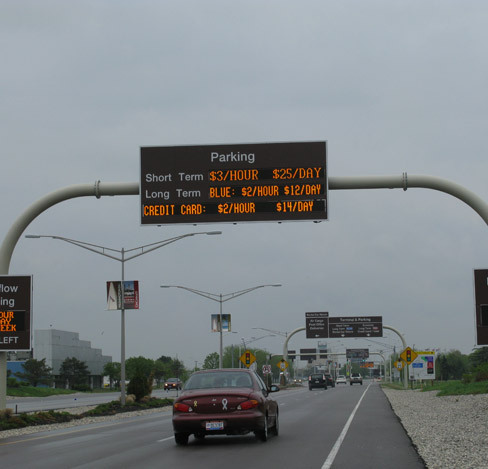 VMS is an important part of Intelligent Transportation Systems (ITS). 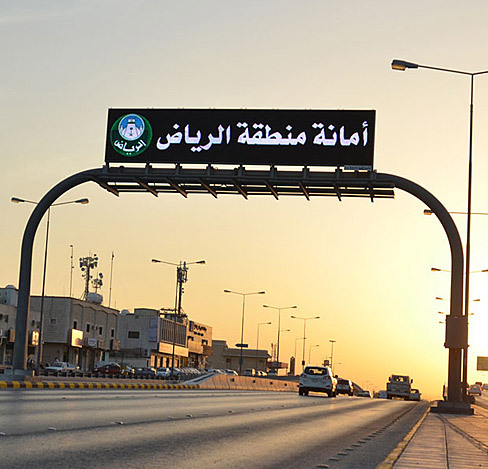 They are in the form of LED displays that often installed on the roadside or above. 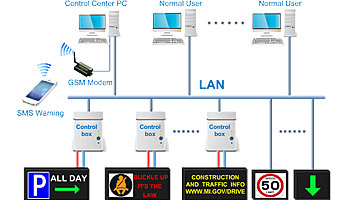 VMS can assist traffic managers in scientific and efficient traffic management. 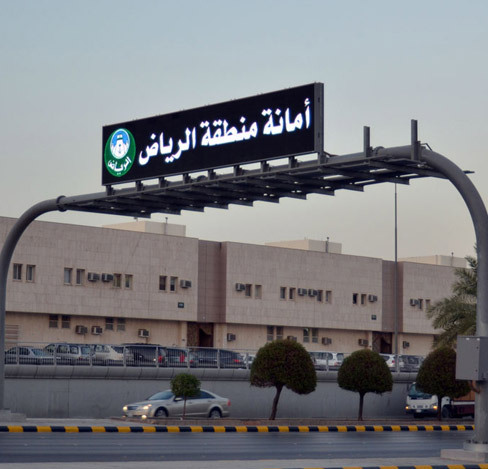 Traffic guidance can be provided by timely release of the latest traffic-related information. 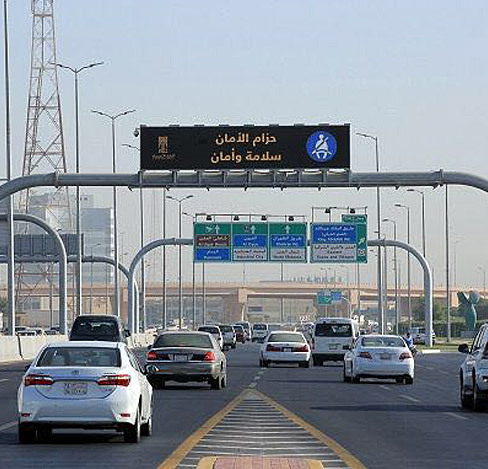 It can help drivers and passengers to know the traffic conditions in advance so that reasonable choices can be made earlier, such as choosing a more expedited route to avoid traffic jams. The use of a large number of VMS can improve the traffic management efficiency, improve traffic conditions, and raise road pass through capacity. It has played a positive role in reducing traffic congestion, decreasing exhaust emissions, lowering the incidence of traffic accidents, and improving traffic safety. ● Support to display monochrome, tri-color, multi-color and RGB full colors. ● Support multi-lingual characters (including Arabic), symbols, pictures, graphics, animations and videos etc. temperature, weather, etc., as well as pictures, animations, videos for promotion. ● Easy connection, support LAN, WiFi, 4G and other wireless methods. ● Comply with GB/T 23828-2009 and other standards. mainboards and components, derating use on parameters, leaving enough margin to ensure long-term stability and reliability. ― Adopt an all-weather design and use AkzoNobel's powder coating to withstand harsh weather conditions and ensure long-lasting durability. comprehensive measures will reduce the temperature rise of the VMS, improve the reliability, and reduce the light decay of the LED. ― With N+1 power supply backup. When the power supply fails, the backup power supply will seamlessly take over and notify the control center. ongoing transmission and avoid displaying interruption thanks to the bi-directional transmission technology. ― Intelligent power distribution function: step-by-step power up, reducing the impact on the power supply lines. ambient temperature, etc., and have a long-term preservation for the log records in the control center database. non-linear automatic dimming control (automatic mode). the operator, even if the operator is not at the control center, he can also know the running status of VMS in time. ― Intelligent alarm function: Users can preset the temperature value for the alarm, brightness down, display off and power off. 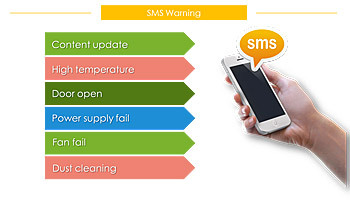 The VMS will carry out the corresponding actions according to the monitored temperature value. safety for the VMS and prevent the occurrence of fire. 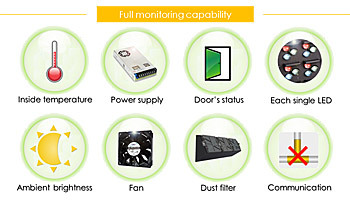 are forbidden to control the VMS, to ensure the VMS operation of high security and accuracy. Text, symbol, picture, graphic, logo, mark, animation, video, etc. Industrial-grade embedded control board with 32-bit ARM processor.